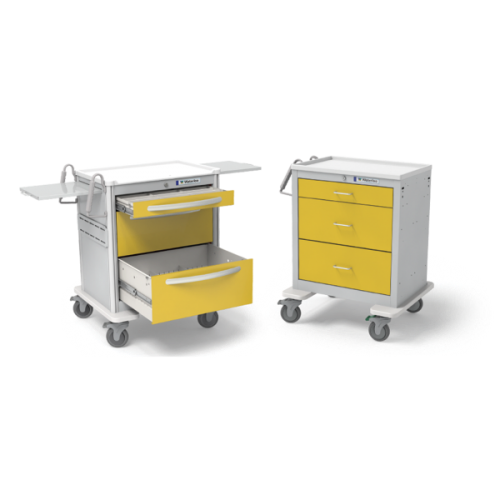 Dual slide out work surfaces operate independently and virtually double your work surface! 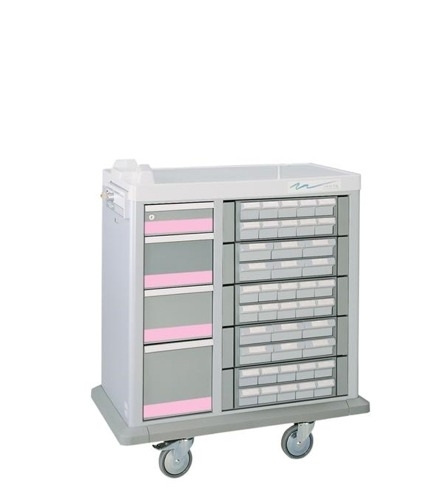 Adjustable metal dividers (One long and One short) included in all aluminum cart drawers. 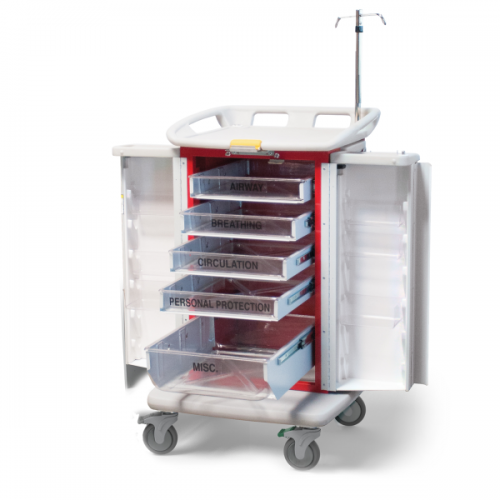 Rapid and organized response to a cardiac emergency is essential. 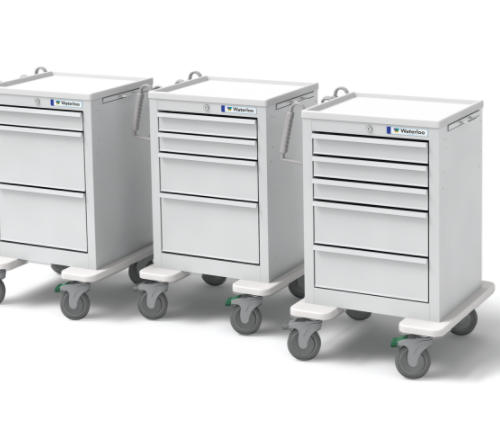 The Waterloo aluminum cart is about 30% lighter than a standard steel cart, offering faster response times. 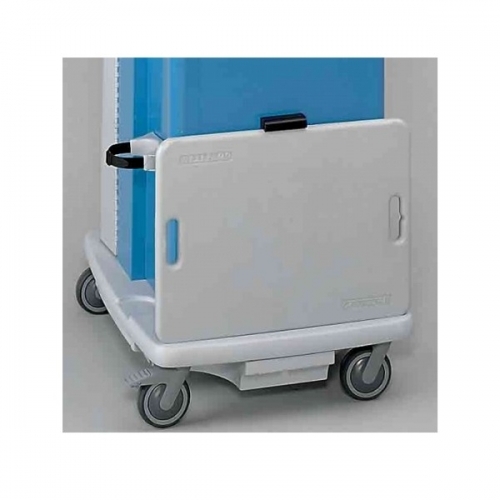 The included steering caster allows the cart to take tight corners further improving maneuverability. 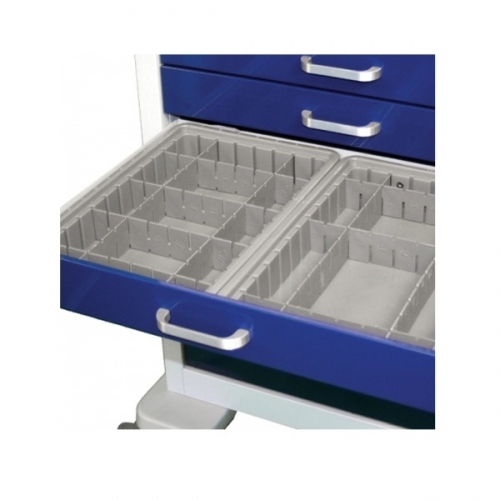 Work surface and drawer organization are vital during a Code. 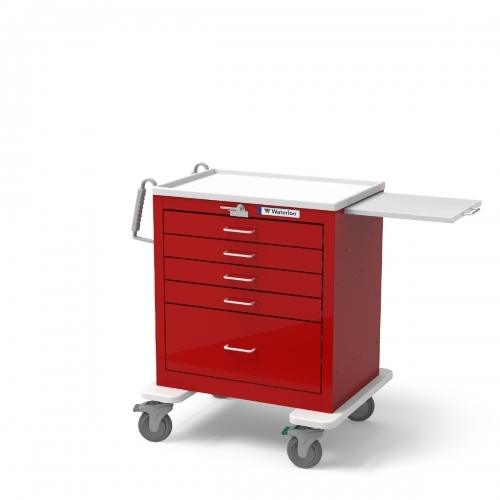 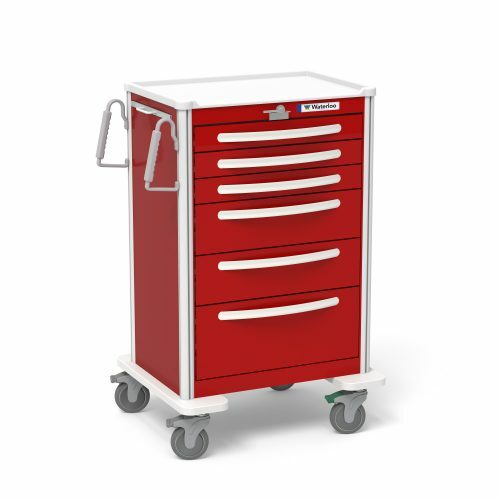 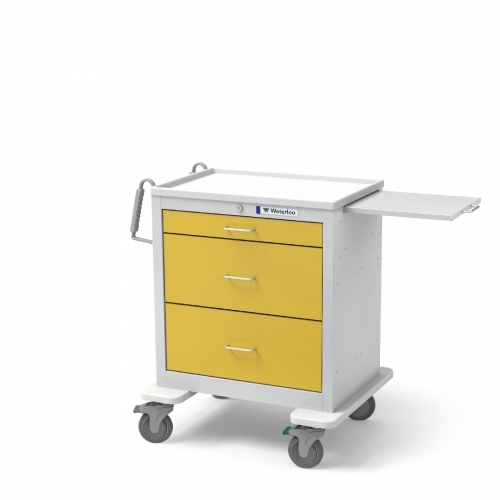 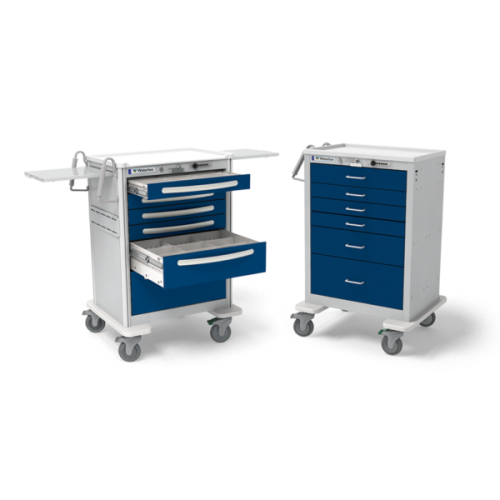 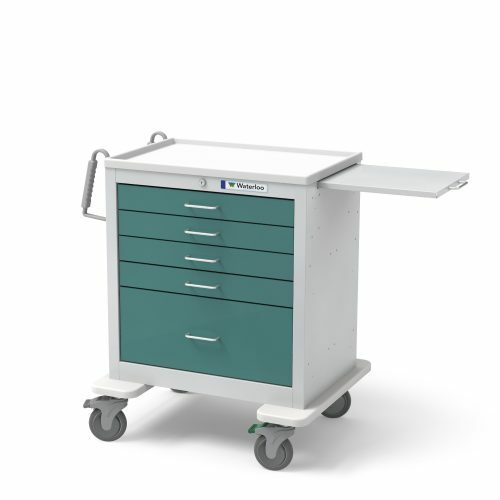 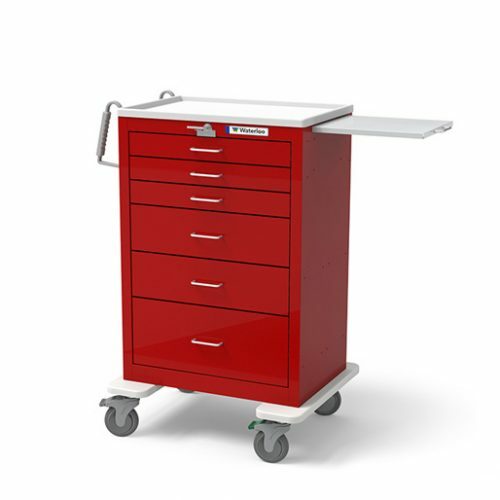 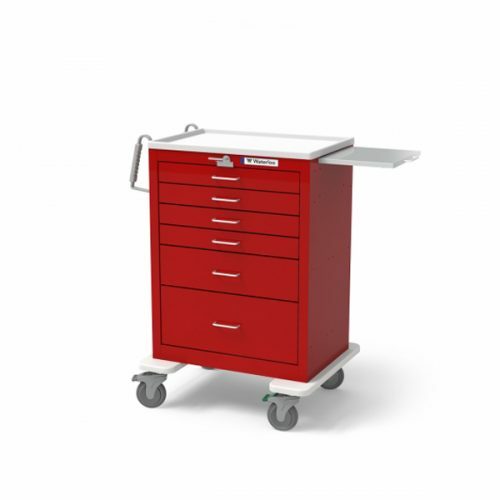 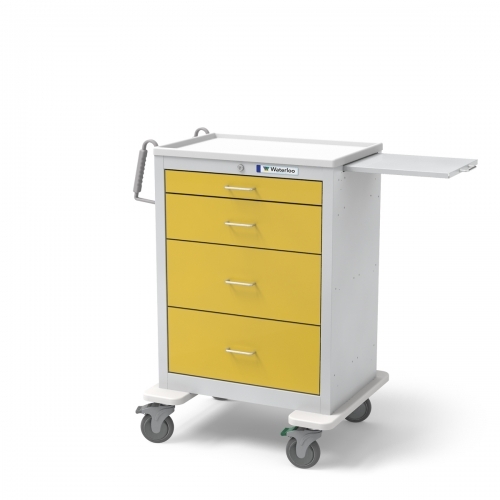 Our dual slide-out shelves virtually double your cart top work surface, allowing you to move equipment/supplies to the cart top and within easy reach. 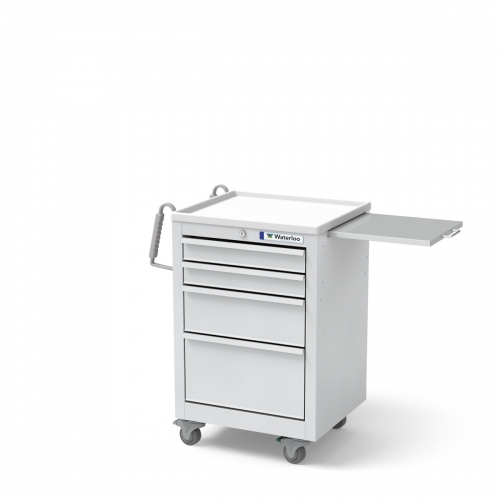 Instant access – one touch breakaway seal opens for quick response. 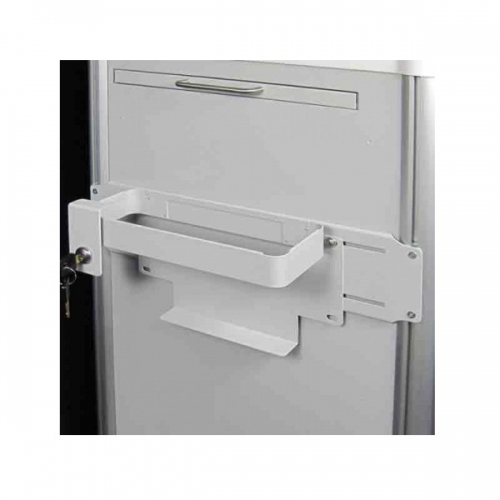 Door latches keep doors in open stationary position. 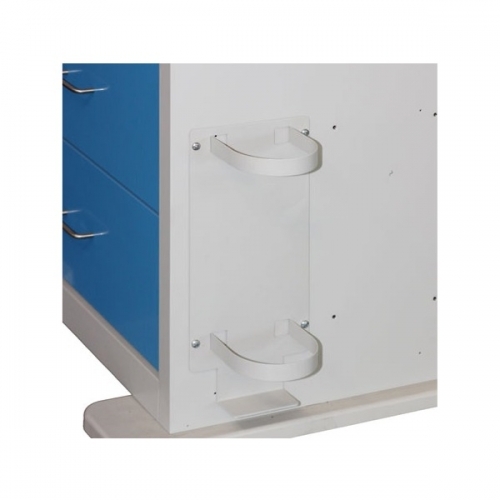 Recessed O2 tank brackets protect valves and gauges. 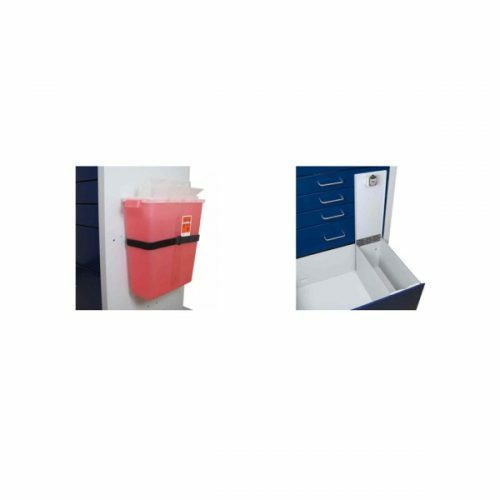 Removable transportable trays for ease of restocking with sealable bag system. Adjustable door storage for more flexibility. 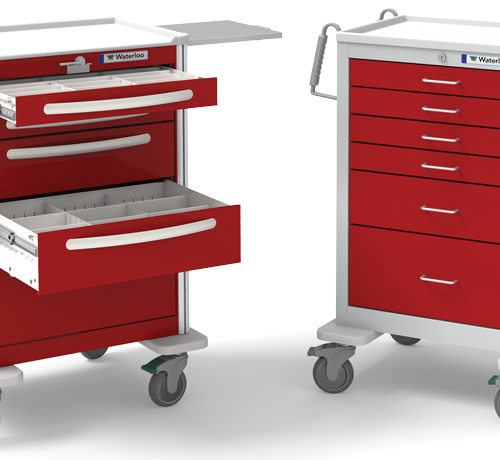 Additional pull out work surface. 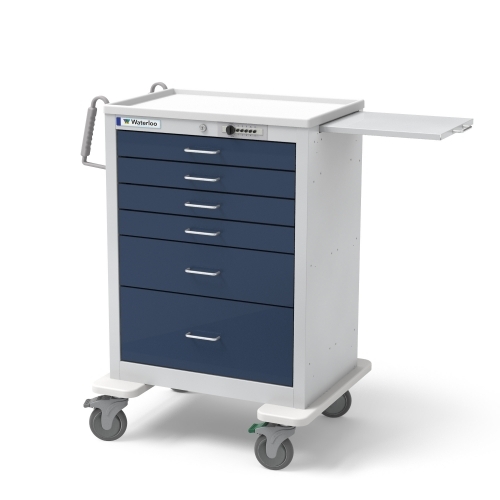 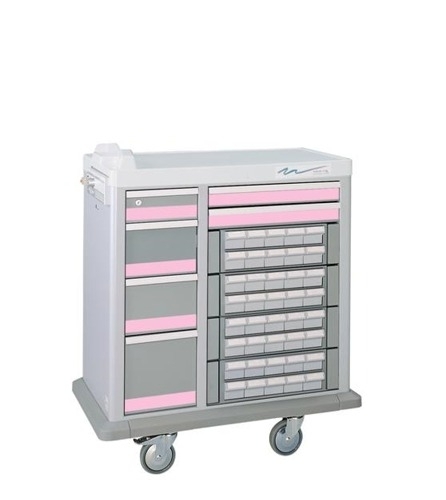 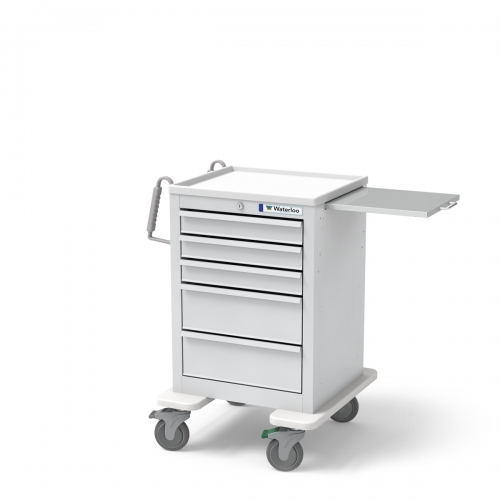 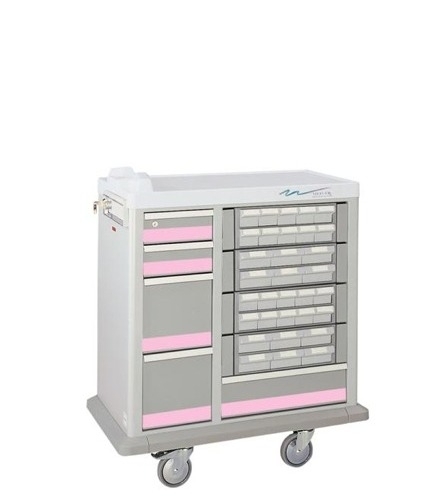 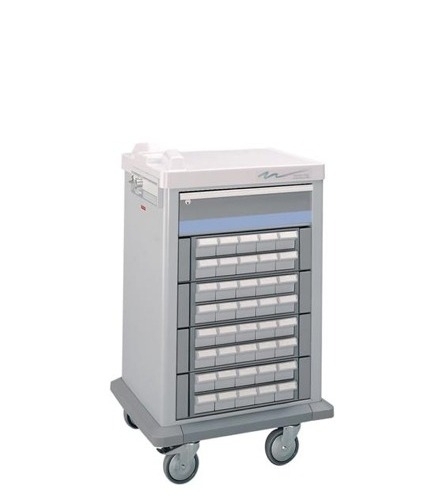 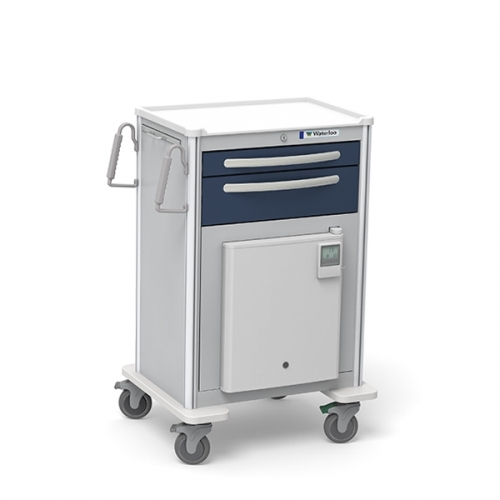 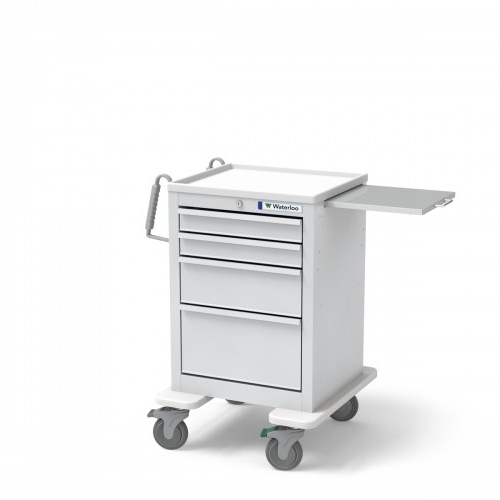 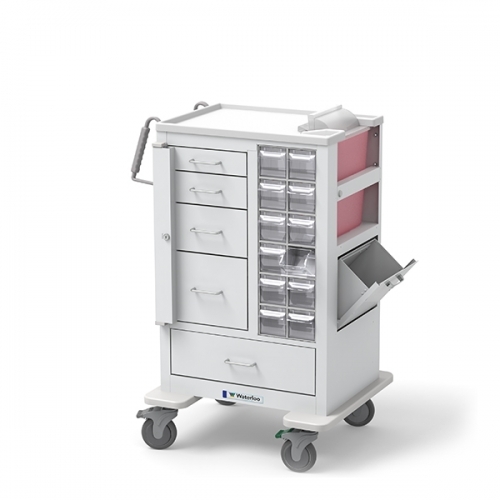 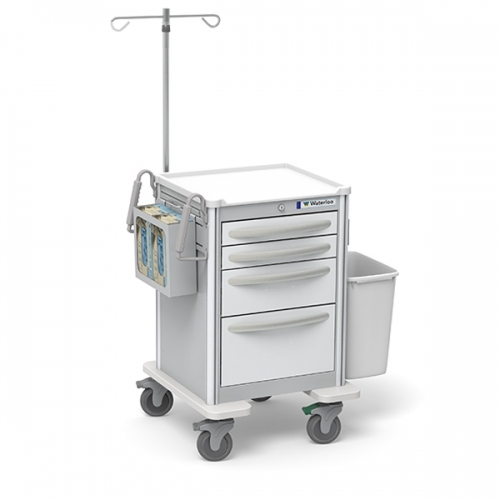 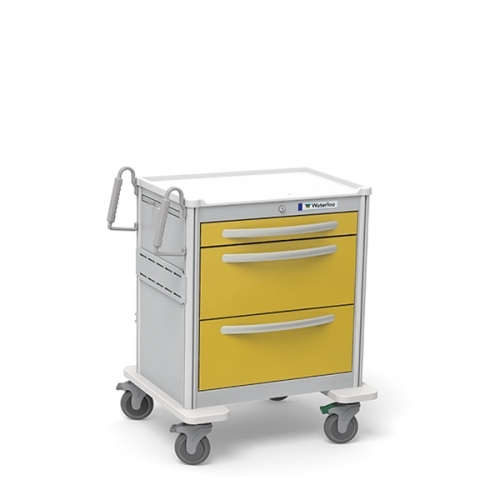 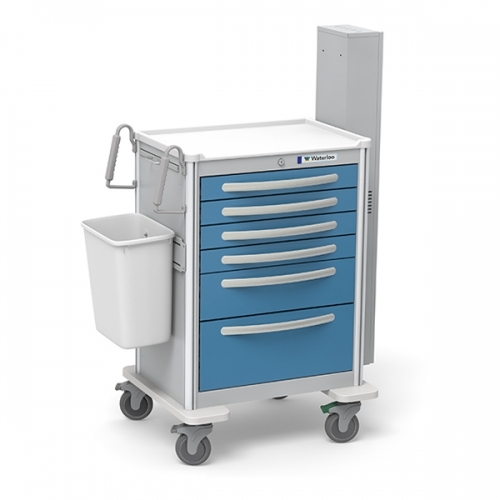 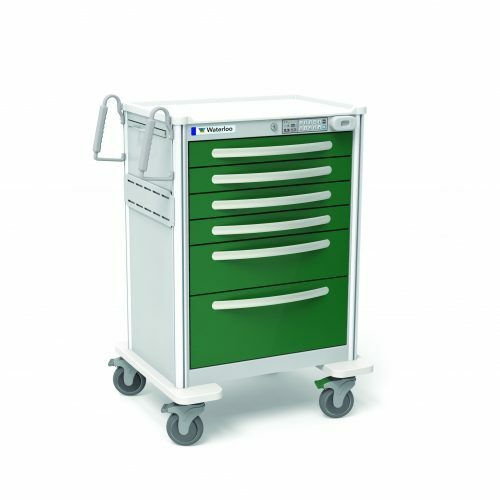 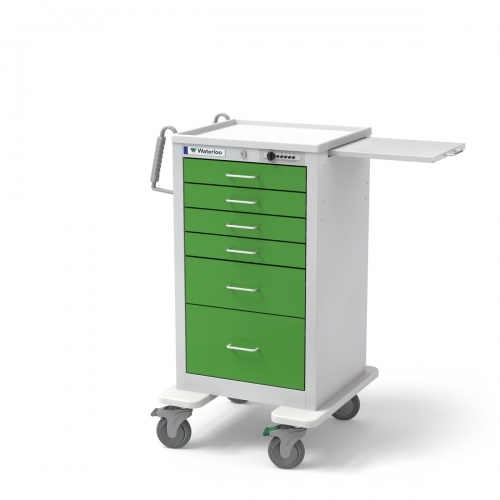 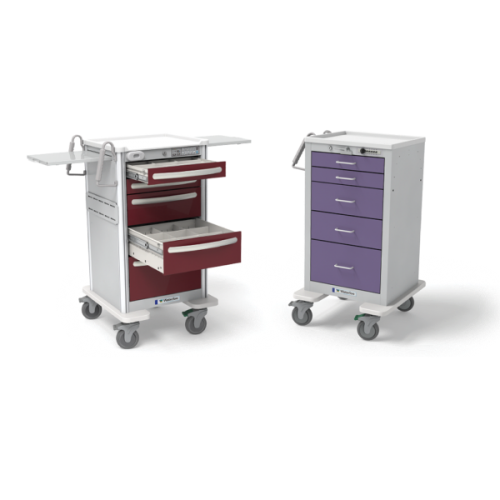 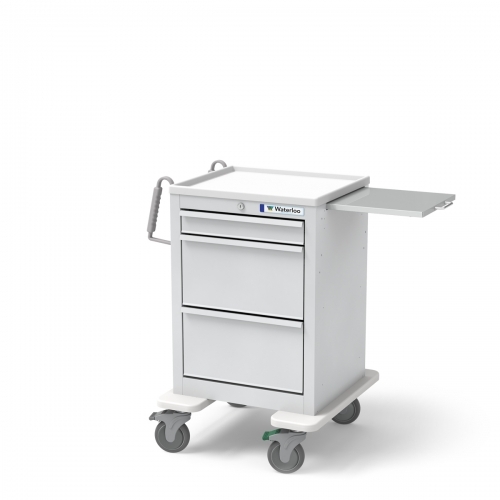 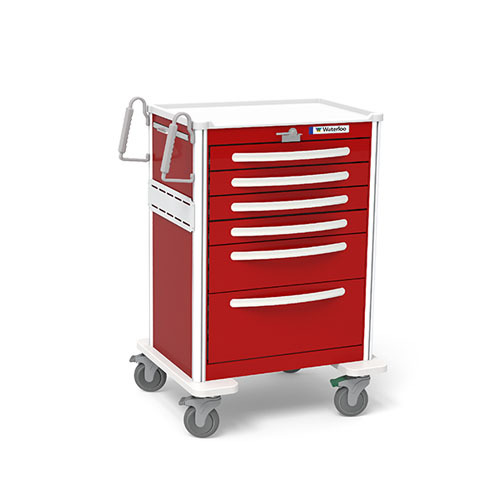 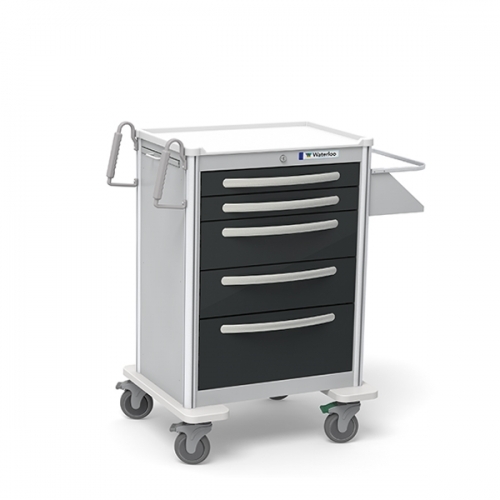 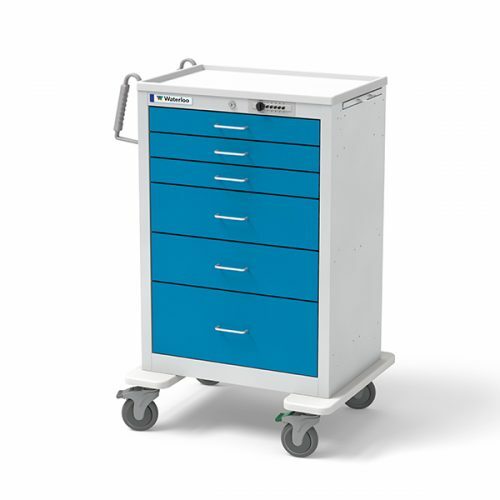 The Waterloo Malignant Hyperthermia Cart includes a SUMMIT 1.6cu. 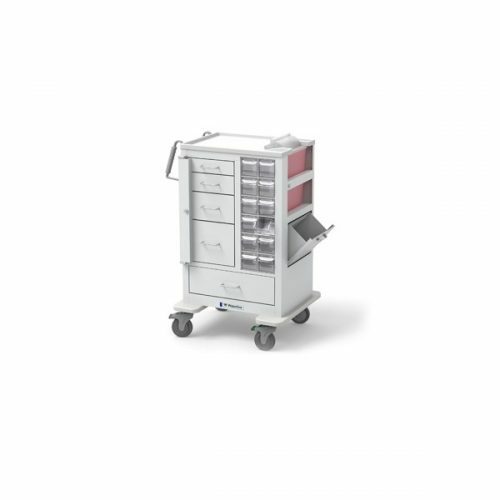 ft. interior refrigerator with exterior digital thermostat and temperature alarm. 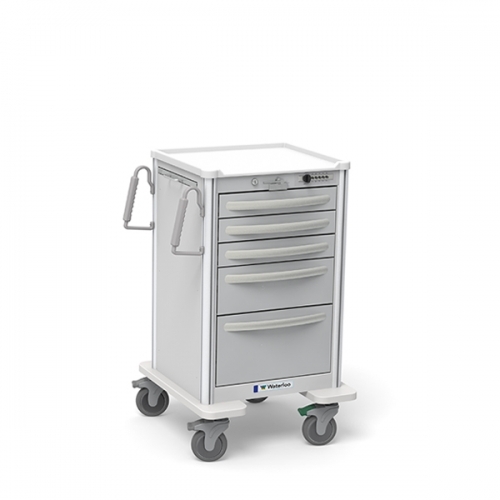 The internal fan and gel packs help to stabilize the interior temperature. 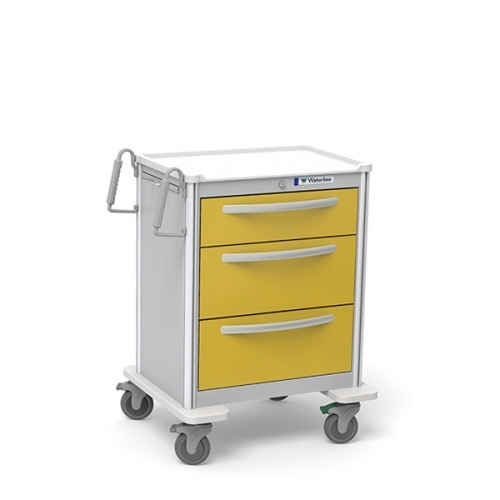 Key locking front door and hospital grade plug come standard. 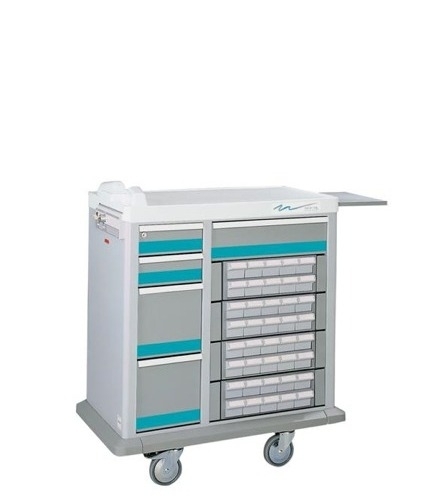 SUMMIT 1.6cu.  ft. interior refrigerator with exterior digital thermostat and temperature alarm. 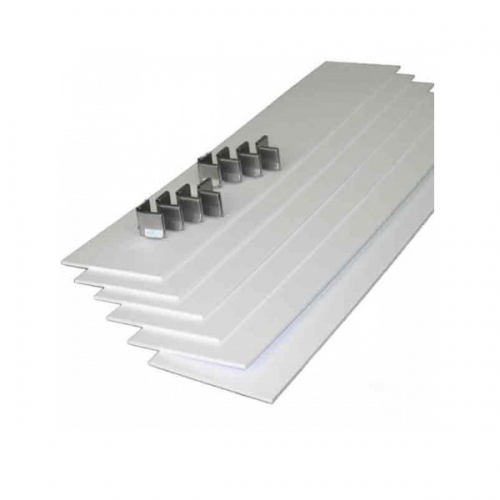 The internal fan and gel packs help to stabilize the interior temperature. 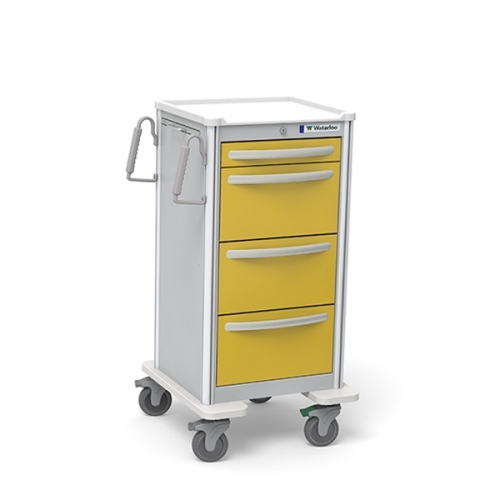 Key locking front door and hospital grade plug come standard. 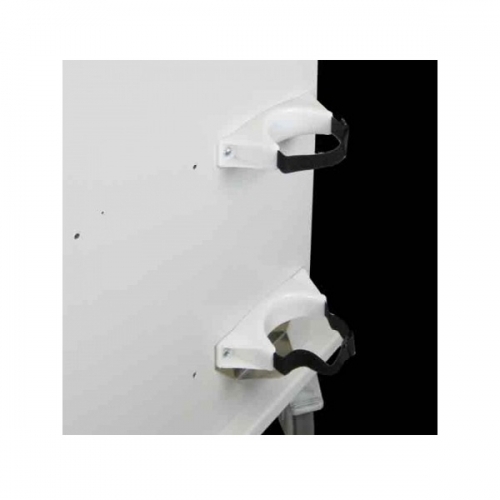 Simply score the plastic strips and snap them to create your own divider system. 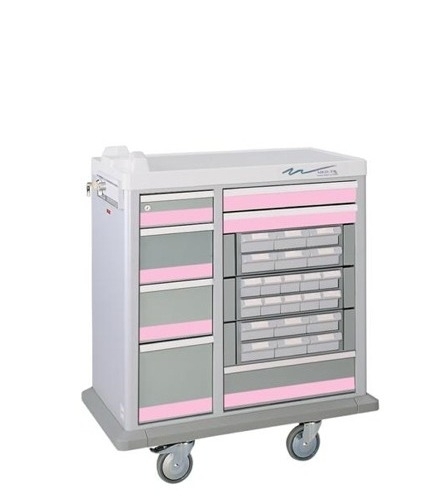 Fits in all drawers. 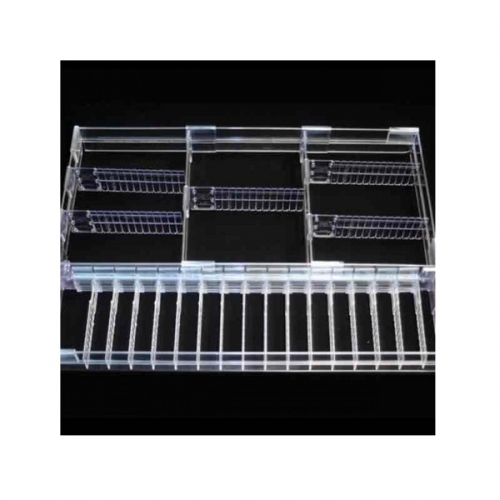 Set includes 22” long white plastic strips and 8 clips. 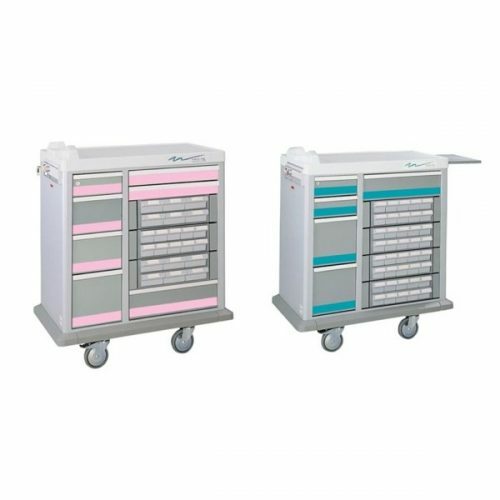 DIV-CC2 includes 2” H strips while DIV-CC4 includes 4” H strips. 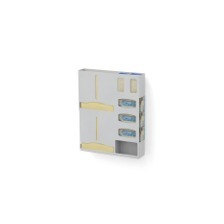 Additional clips available in sets of 6. 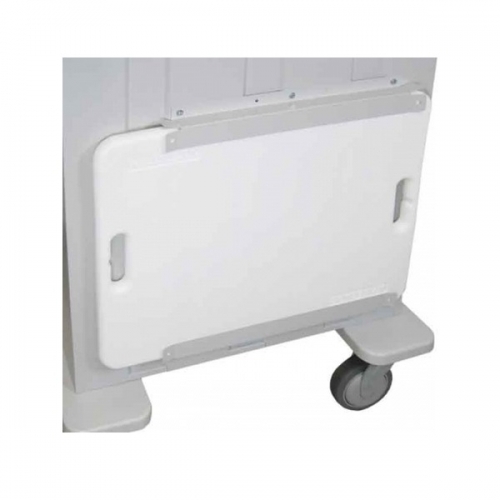 Nylon reinforced polycarbonate corner bumpers protect cart corners. 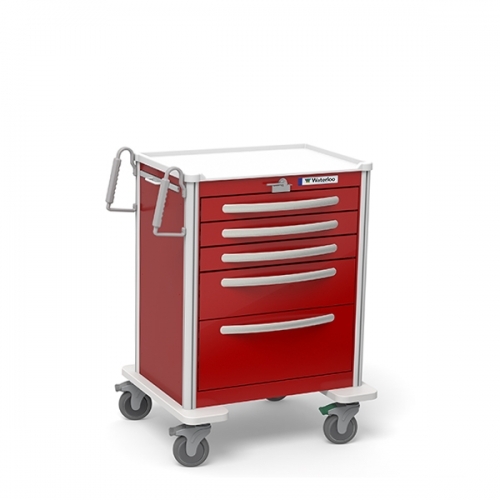 3” Premium “Easy roll” sealed bearing casters with precision bearing swivels. 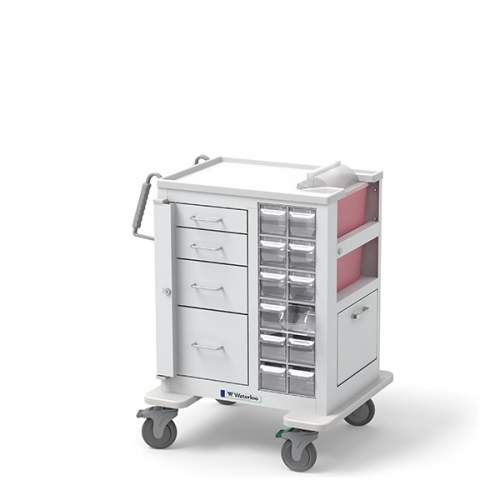 Thread guards minimize sutures and other materials from collecting around axles and keep carts rolling smoothly. 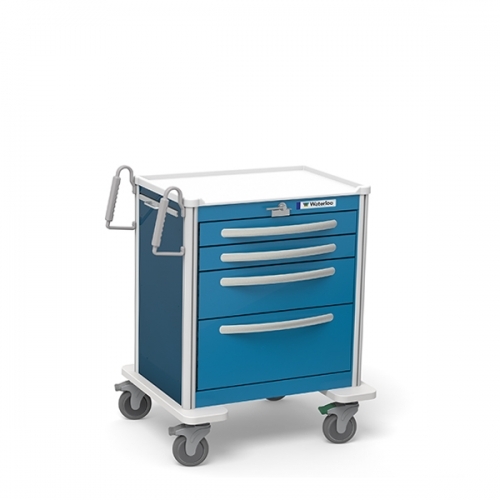 5” Premium easy roll casters (two braking, one steering, and one full swivel). 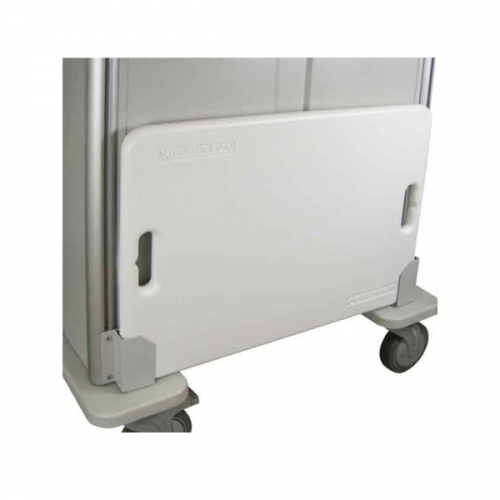 Stabilizer base with high impact nylon reinforced polycarbonate bumper. 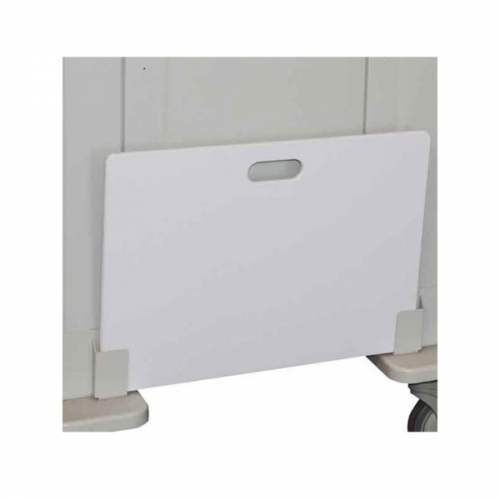 Lightweight plastic cardiac board mounting bracket and board for back side of the ER2000 cart. 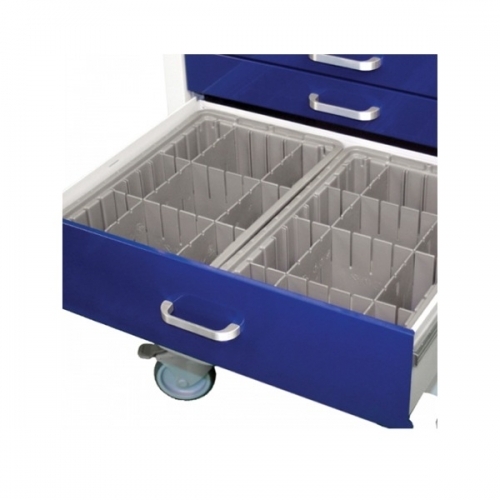 Drawers with removable divider trays. 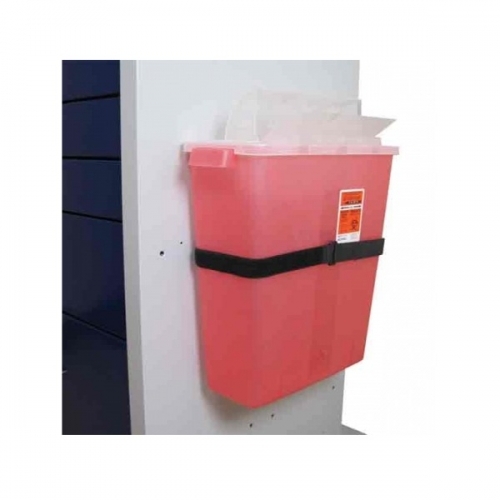 With adjustable velcro strap. 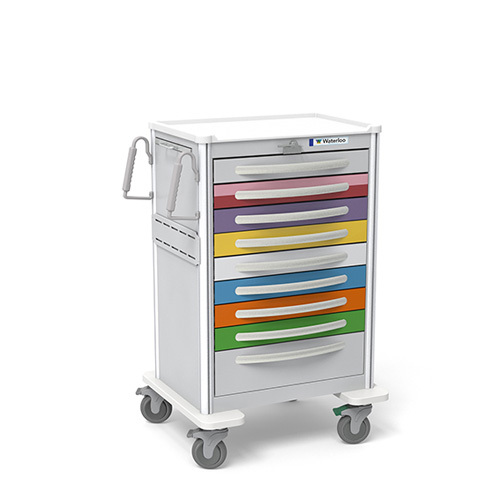 Mounts to all Unicarts, Aluminum Med Jr Carts and Medtrx. 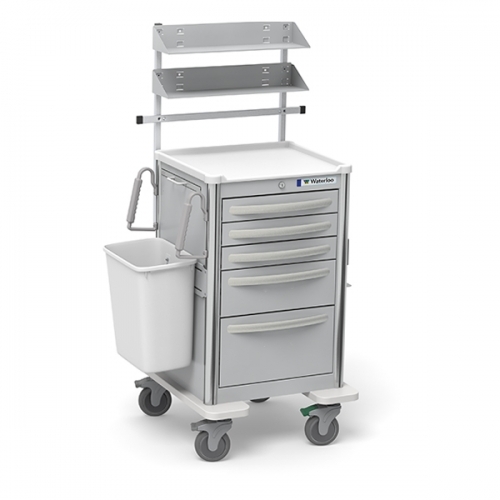 Mounts to all Unicarts, Aluminum Med Jr Carts and Medtrx. 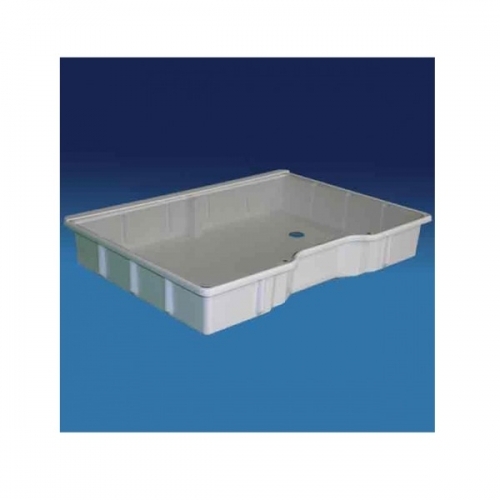 Designed for 5 quart container.